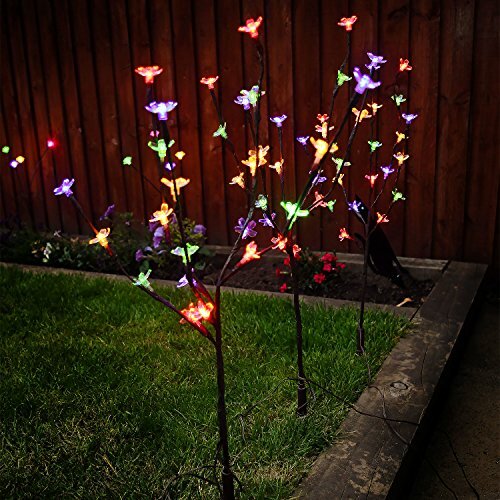 The solar LED string lights are waterproof,oxidation,heat and cold resistant£¬and not easy to break in the process of moving. Wall mounted design, can be installed anywhere.Completely safe to use.Easy to install.Waterproof lelvel IP68, suitable for indoor and outdoor use. Easy to Operate & Install—-Simple operation with Two switch and one Stake. 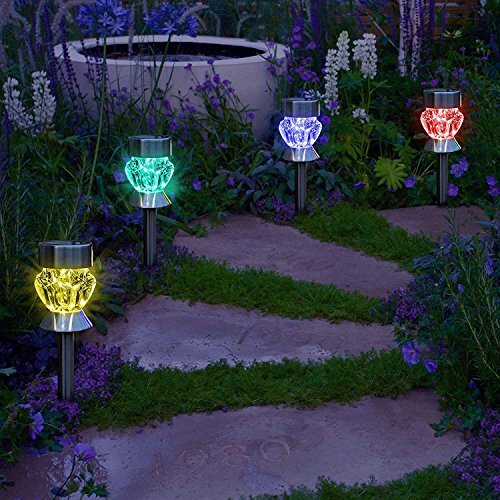 STARTLING 4 COLORS – New Release Solar Lights Diamond Shaped Colour Changing Path Lights – Be the First to Grab it and Add a startling nighttime landscaping effect to your Lawn & Garden Today Perfect Gift for your loved ones for Christmas & New Year 2017! 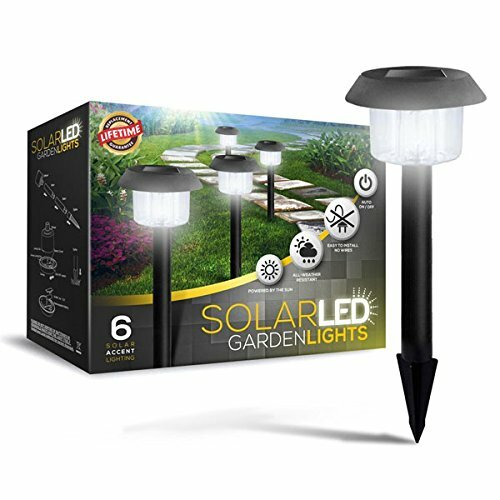 AUTOMATIC RECHARGING – Built-in Solar Panel automatically recharges during day and automatically turns ON lights during night so you never have to worry about huge “ELECTRIC BILLS” this holiday season for garden lighting! 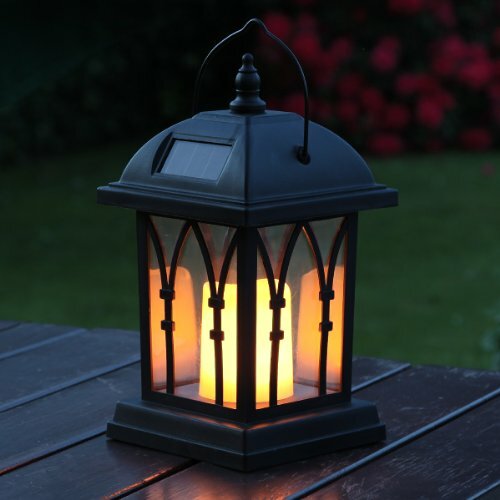 VERSATILE DESIGN – Multipurpose Function with Removable Head that can be used as Table Lamp, Step Lights, Balcony Lights or any other decorations as per your Creativity! 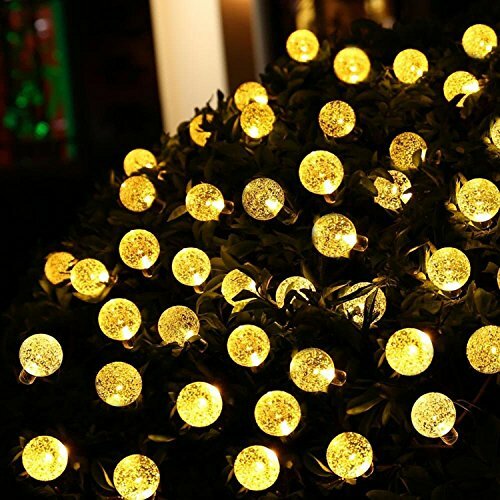 A BEAUTIFUL NIGHTTIME DECORATION FOR YOUR YARD. 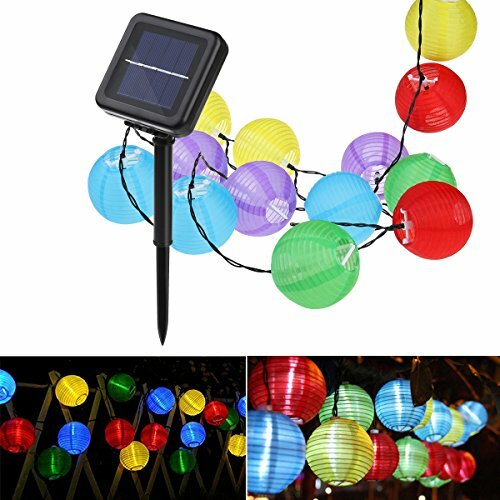 A string of multi-colored lantern lights you could put on a tree, fence or gazebo, along a path, around your front door, etc. EFFICIENT SOLAR CHARGER AND HIGH-CAPACITY BATTERY. 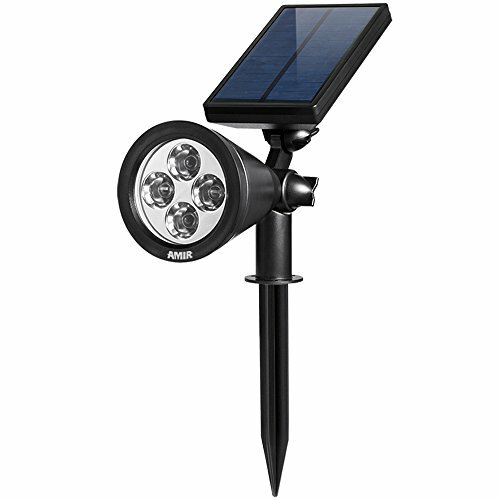 A big 800 mA battery and 200 mAh solar panels keeps these lights working for up to 12 hours on a 6-8 hour charge. High Quality & Energy Efficient:Dustproof; transparent PC material, corrosion resistant, cost resistant, aging resistant, more durable; free from time and space constraints.Low power consumption and energy saving. 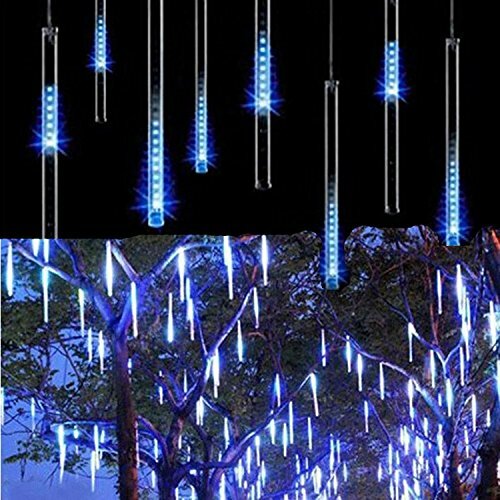 Which has good transparency and makes the fairy lights more gorgeous and unique. 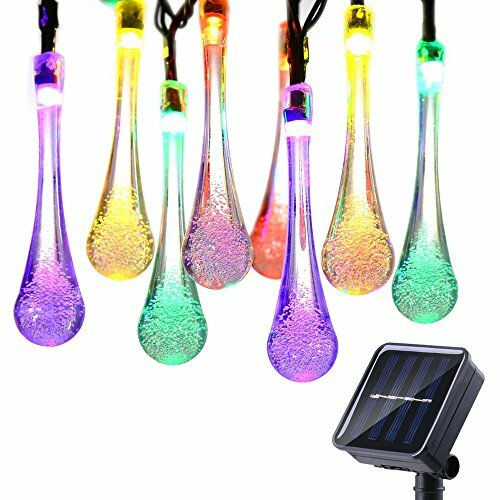 Solar Powered strip light:A big 2000MA battery and 254mA solar panels keeps these lights working for up to 12 hours on a 6-8 hour charge.Solar powered,energy saving,do not require additional cost,and high safety. 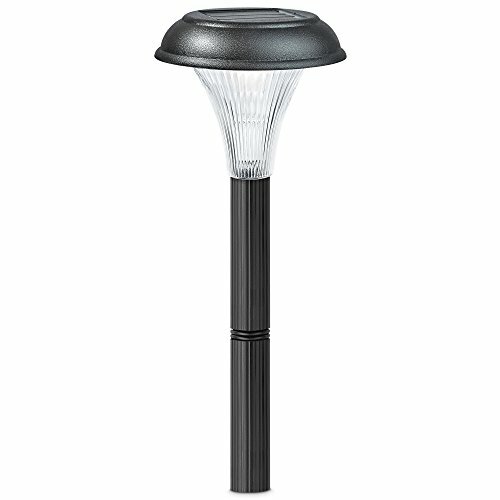 Different flash models for your choice. 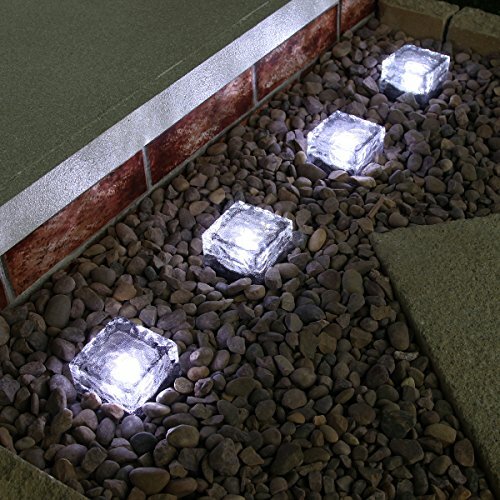 SIMPLE AND QUICK TO INSTALL – WIRE FREE! Assembled and installed in less than a minute. 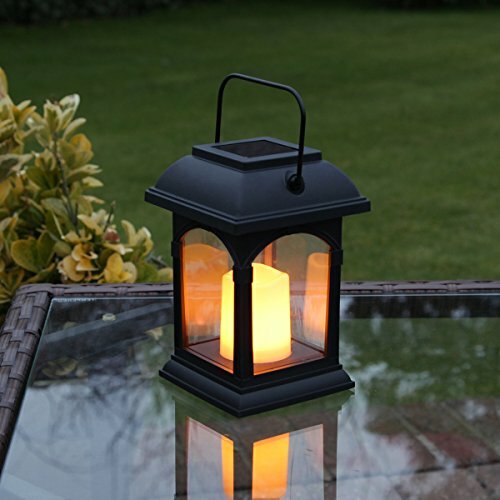 Push the stake into the lawn and they will come on automatically at night and turn off automatically at dawn! NO-HASSLE INSTALLATION! Simple, EASY installation out of the box! There’s NO HASSLE because there are NO WIRES! Runs completely on solar power. Turns on at dark, off at dawn! SOLAR-POWERED! NO BATTERIES REQUIRED! Save money on electricity when you use the sun. It’s FREE! Plus… there are NO BATTERIES to replace BECAUSE THEY RECHARGE THEMSELVES! !